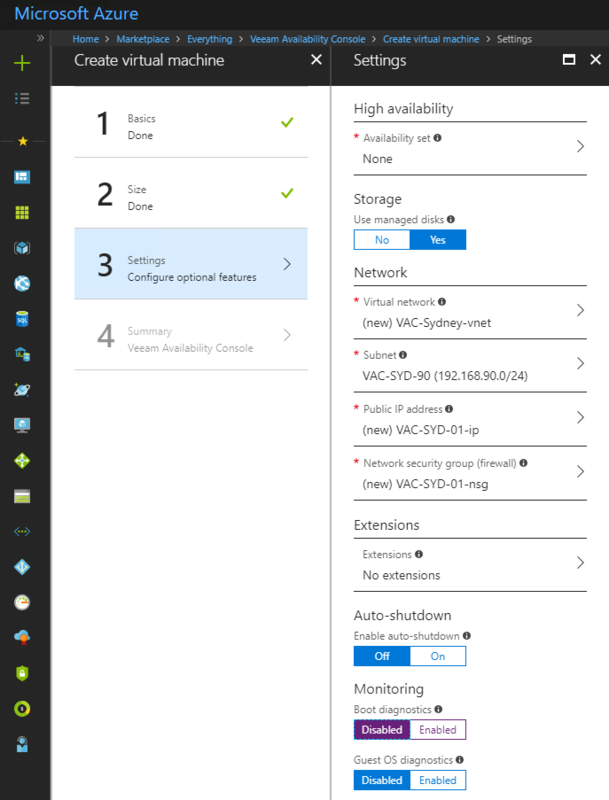 Microsoft Archives - VIRTUALIZATION IS LIFE! Last week the Veeam Availability Console Azure Marketplace appliance went live. 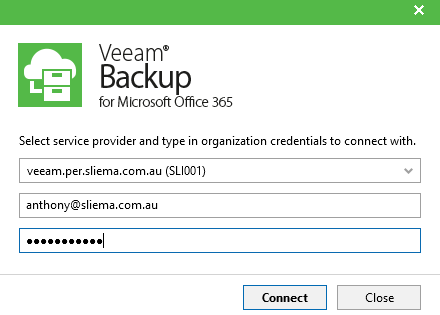 This allows Veeam Cloud and Service Providers to easily deploy VAC into any Azure region. 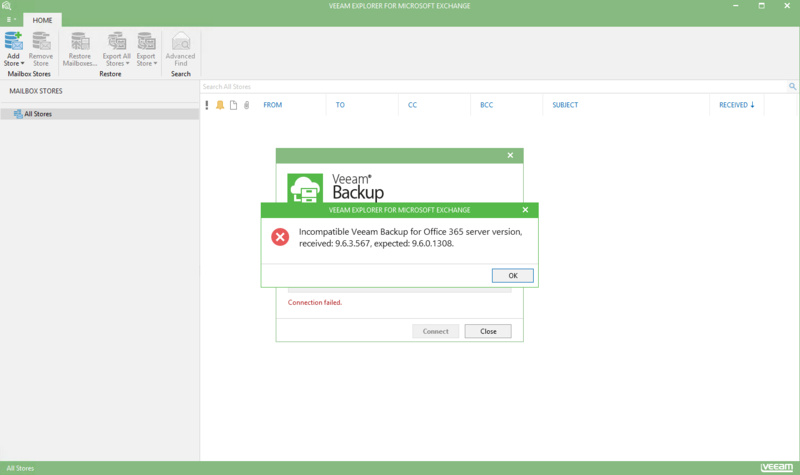 In it’s previous incarnation the Managed Backup Portal was only available as an Azure marketplace appliance and not available to install by a VCSP. 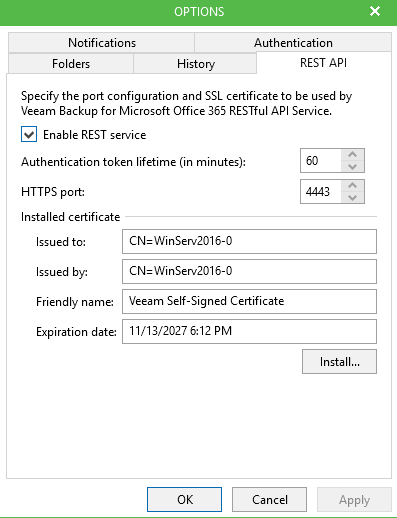 Now that VAC 2.0 is out, VCSPs who don’t have the ability to host Cloud Connect or VAC on their infrastructure can deploy it in Azure and have the service up and running within fifteen minutes. 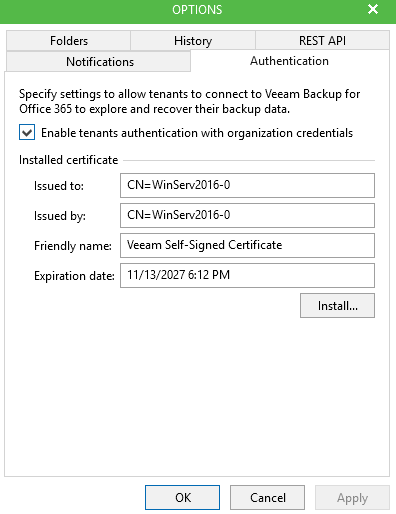 There are some limitations that come along with deploying VAC into Azure and it won’t be for everyone. 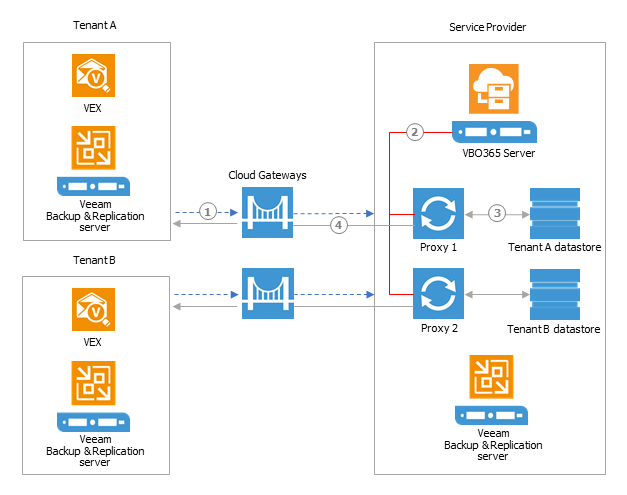 The biggest caveat is that you can only have one Cloud Connect Server per VAC instance and as part of the deployment, Cloud Connect services is installed on the same Virtual Machine. 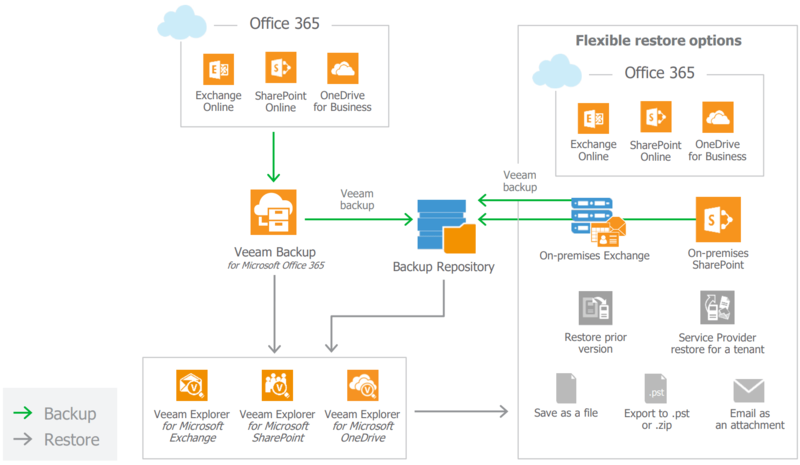 You can’t offer Replication services from the Azure instance, and if offering Cloud Connect backup you need to understand it’s own scalability and performance bottlenecks. 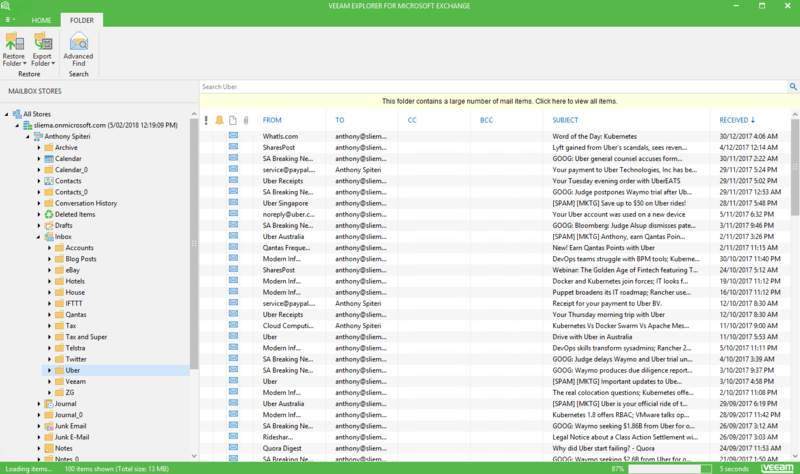 That said, as a remote management, monitoring, reporting, billing and self service platform there is a lot to like about having VAC in Azure. 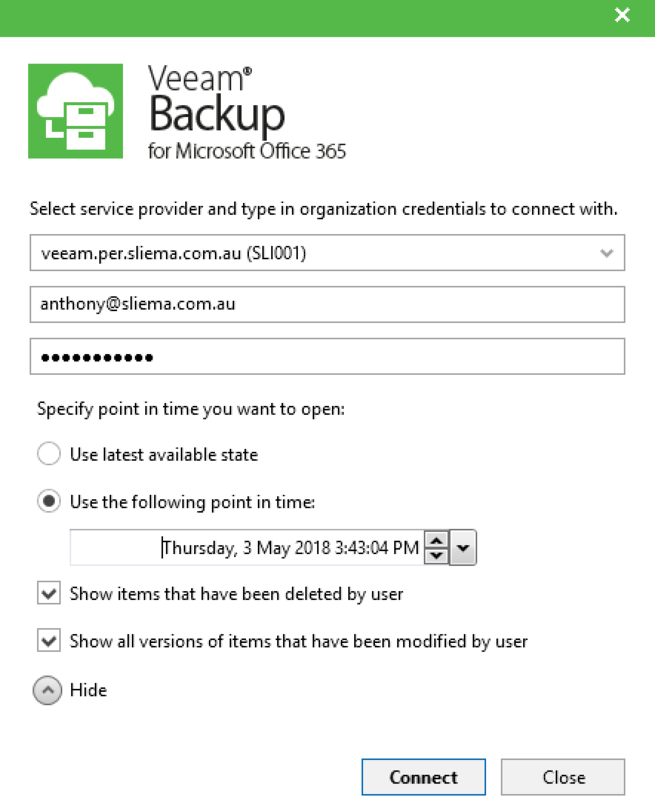 You can start the deployment by searching for Veeam Availability Console in the Azure Marketplace or you can go direct to the product page here. 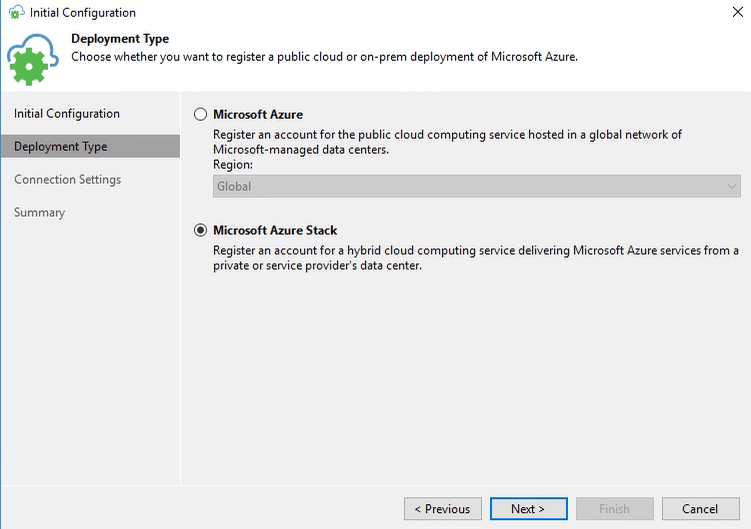 Click on Create to start the configuration steps. 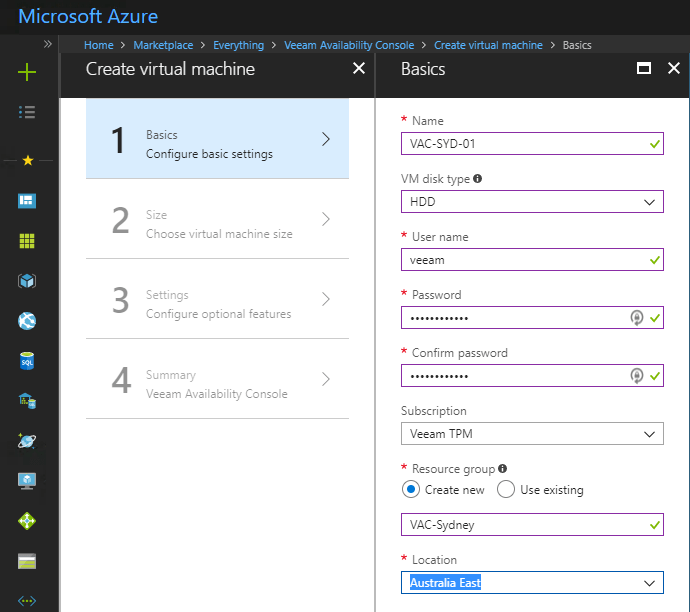 The Basics includes VM name, hard disks type, username and password as well as selecting the subscription, the ability to use a new or existing resource group and finally the Azure location you want to deploy into. 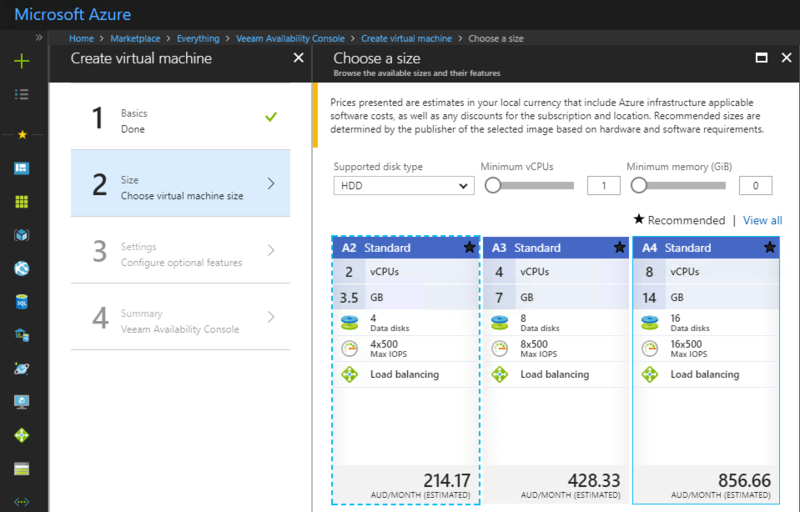 In Step 2 you need to choose the Size of the Azure instance. The template provides the recommended configurations. 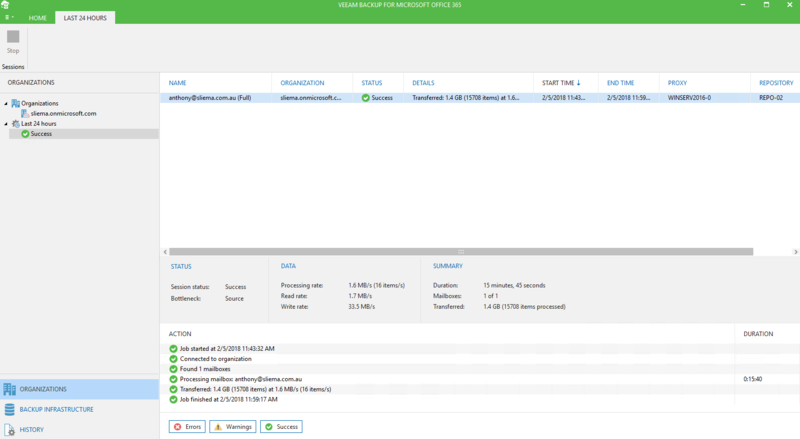 The sizes are relative to the amount of agents and/or Backup & Replication instances you are going to be managing from this instance. You can find sizing guides here for larger environments. 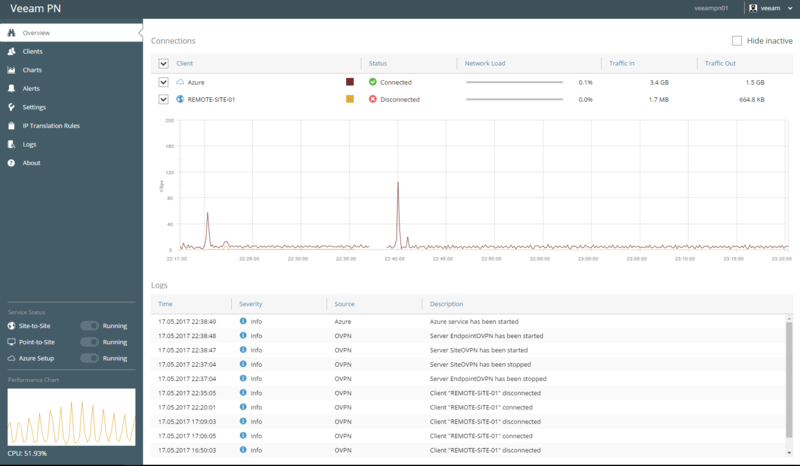 I ended up going with an A2 standard for my instance which removes the load balancing functionality from the configuration and offers a little less IOPS. 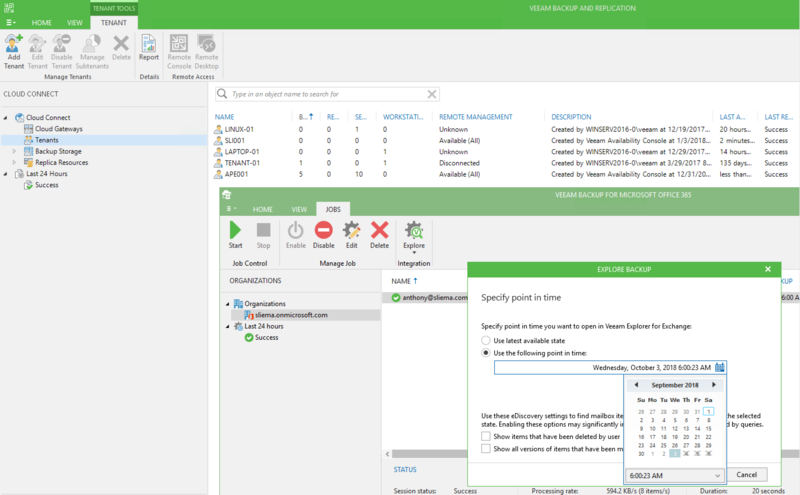 Step 3 contains some optional extra’s to ensure a higher level of availability for the VM instance and lets you configure the networking. 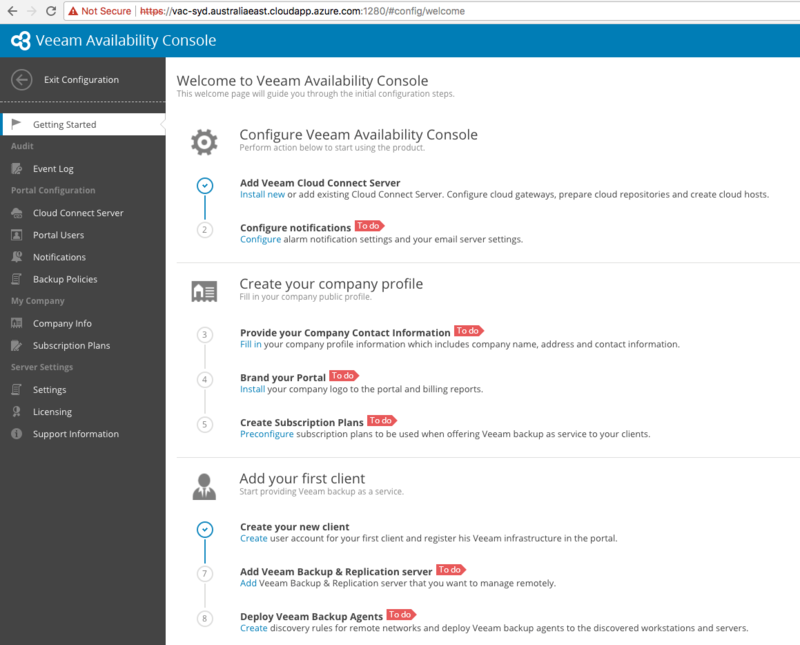 Once that’s done you can review your configuration settings and start the deployment. It took just over 8 minutes for the deployment to succeed. 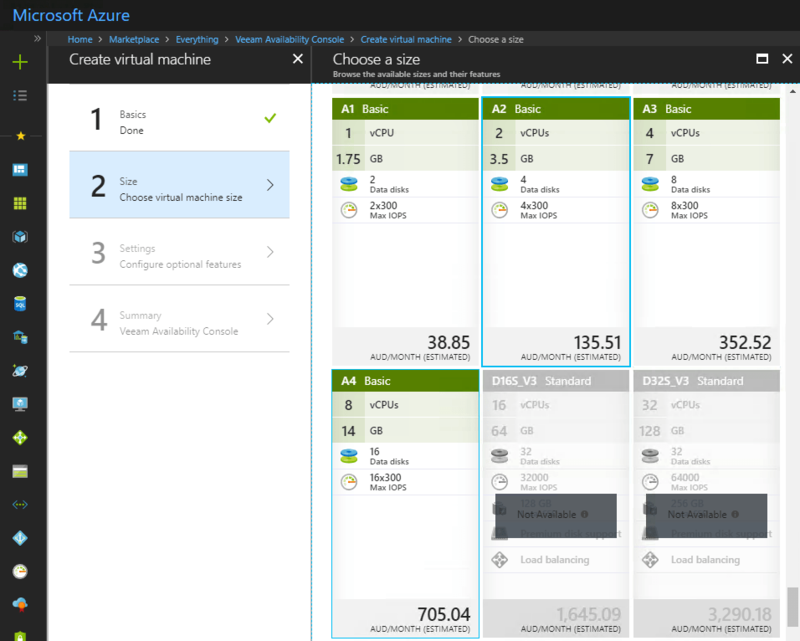 If you click on the Virtual Machine object in the Azure Portal you will see an overview of the VM and it’s configuration. 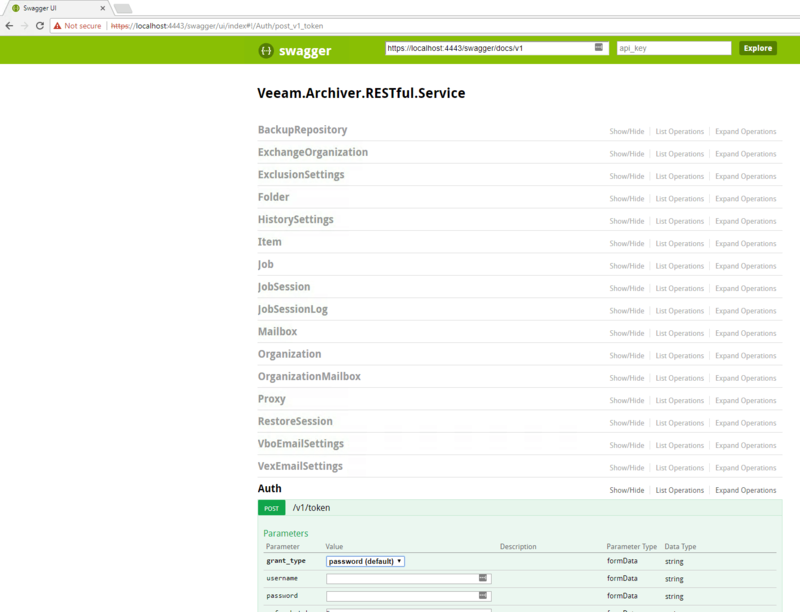 If you notice in the image above, a DNS name is listed in the overview. This was something that I had to set manually after the deployment. 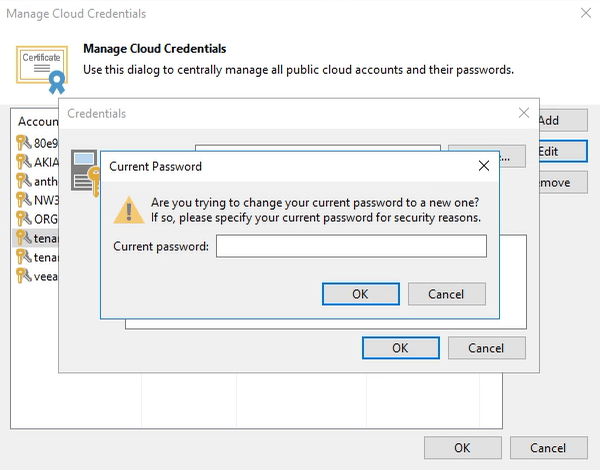 You set this by going into the Networking of the resource pool and click on IP Configuration. 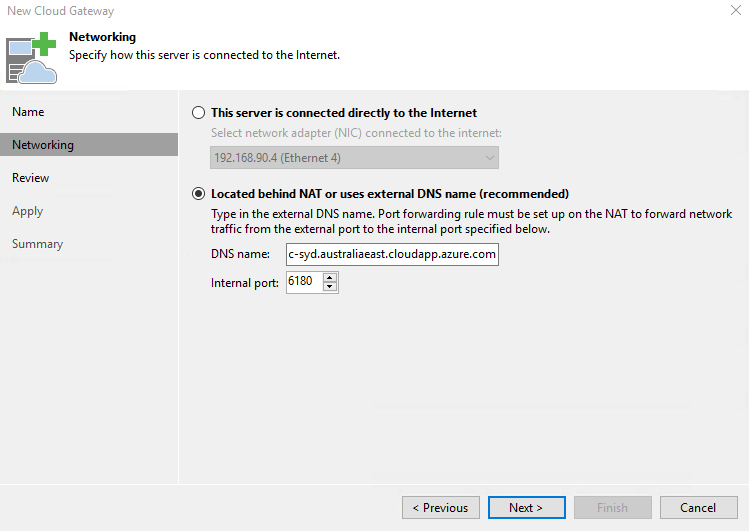 Here, you can enter in a DNS name relative to the Azure zone you are in. 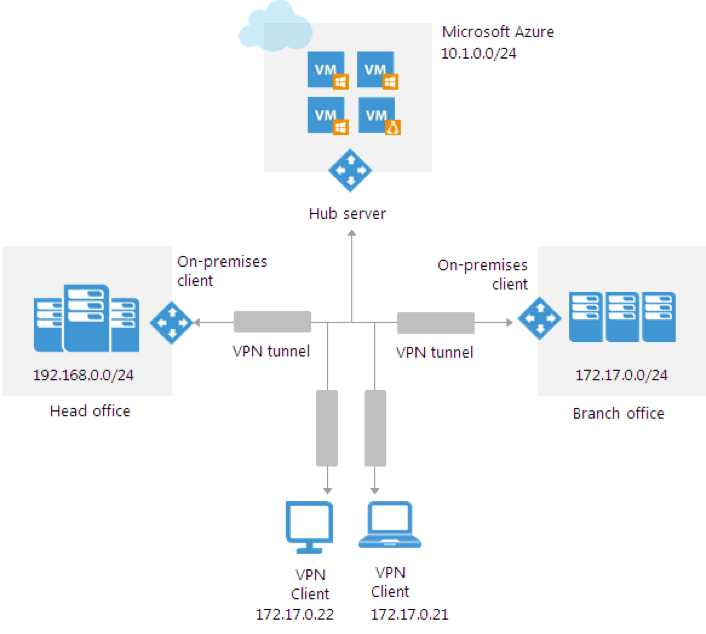 You can then use this to connect to the VAC Console, Cloud Connect Service and to RDP to the VM and helps in the event of having a dynamic, rather than a static Azure IP. Speaking of networking and ports, below is a list of the default port rules created during the deployment. 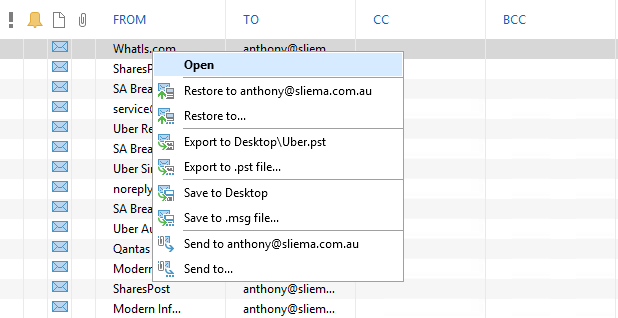 Note that WinRM is open as well. 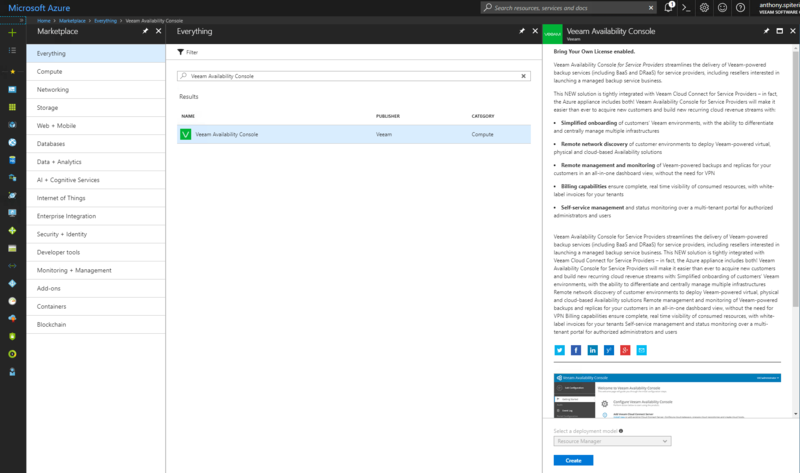 After deploying the Azure Marketplace appliance you can RDP into the VM and complete the setup that includes configuring Cloud Connect and VAC it’s self. A few things have been done for us as part of the deployment, however the first thing you need to do is get a license. 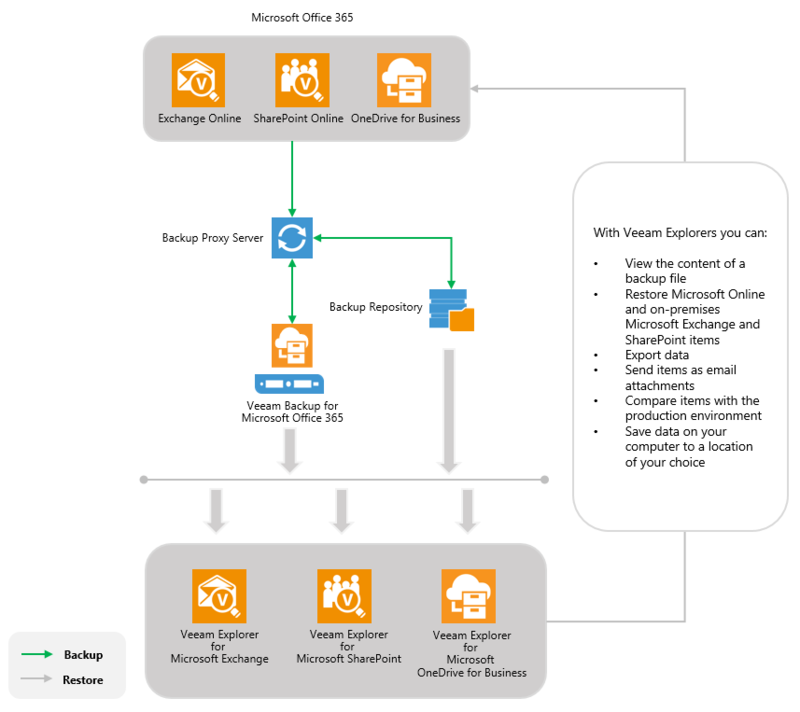 This is a BYO license situation, so once you have deployed the Marketplace appliance you will need to source a VAC license from the Veeam Licensing Portal and apply. 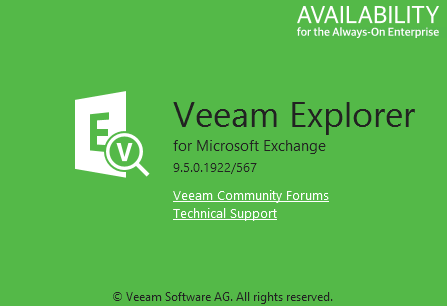 Head to the VAC Web Portal and Install the License. 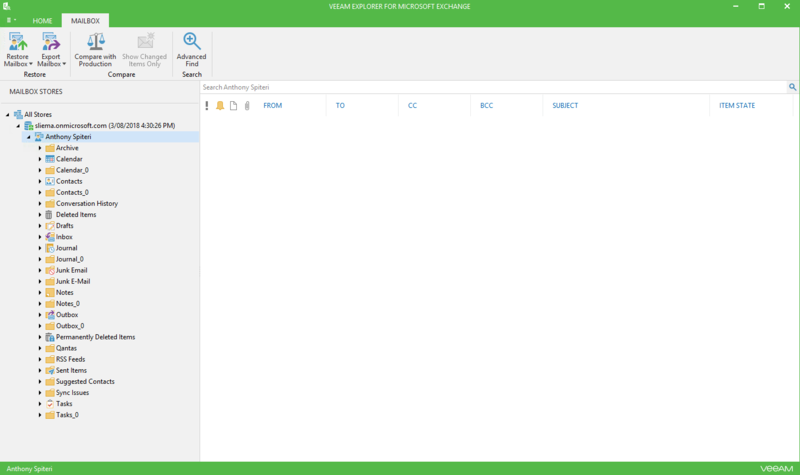 Once done the last step is to configure Cloud Connect from the Backup & Replication Console. 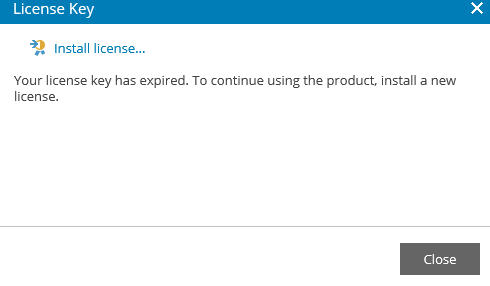 Again, you will need a valid Cloud Connect license as you are greeted with the Free Edition when you connect to the console for the first time. 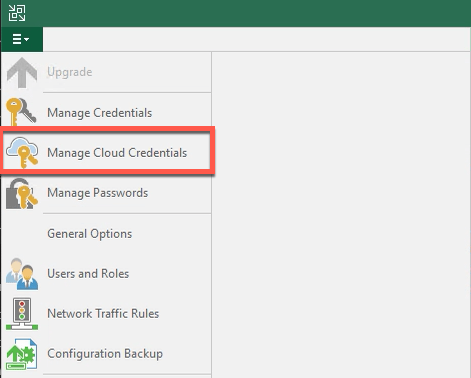 As per normal with Cloud Connect, you need to configure the SSL Certificate first and then configure a new Cloud Gateway. Configure the Networking as shown below using the DNS name that was created in the steps above. 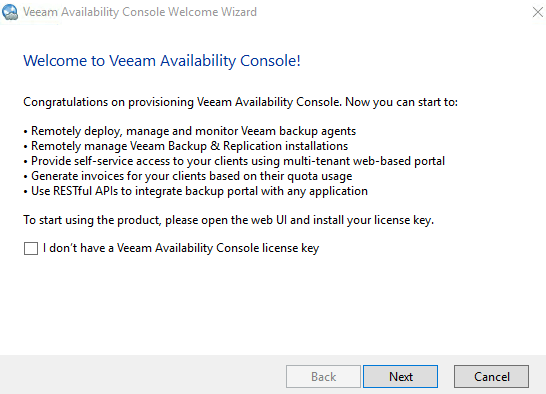 Once this is completed you can go into the VAC Console and work through the normal Configuration steps. 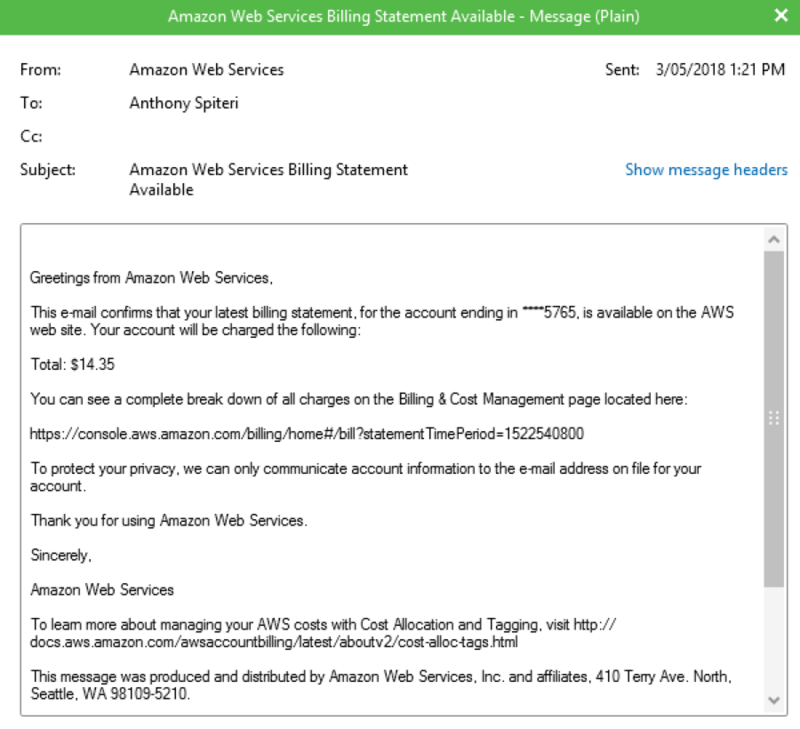 The only thing you don’t need to do is add the Cloud Connect Server to the VAC instance as this has already been done during the initial deployment process. 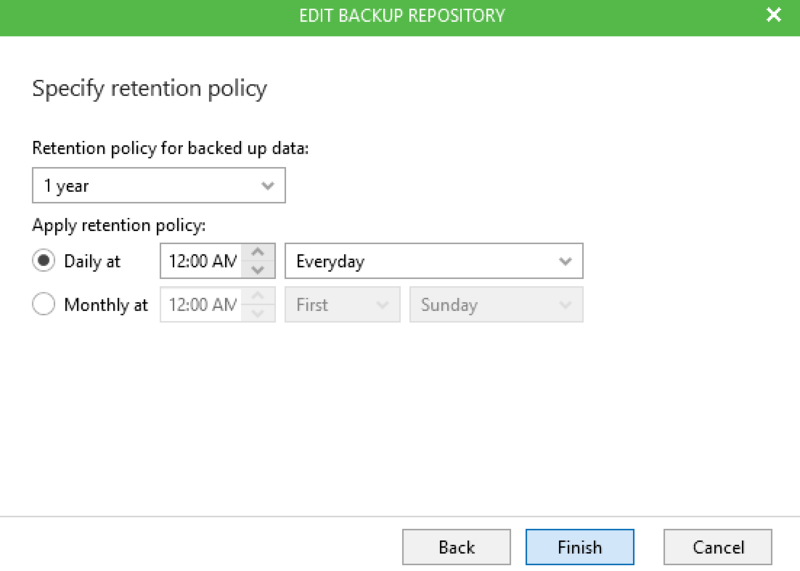 It’s worth noting that the versions of Backup & Replication (9.5.0.1536) and Availability Console (2.0.1.1343) are up to date and include the latest Hot-Fixes for VAC. 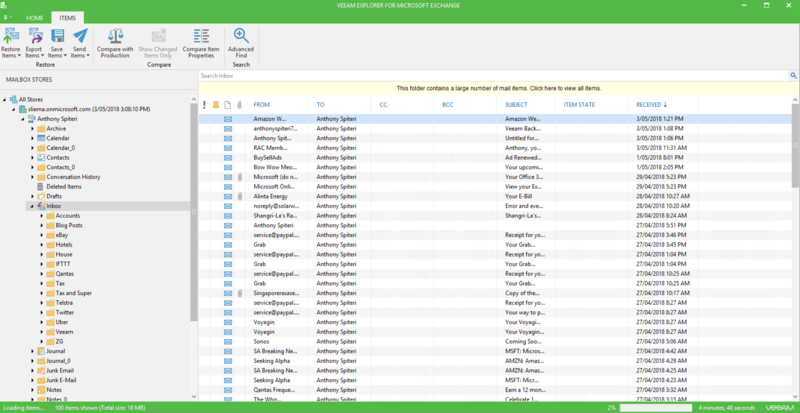 The intent is to have the templates as up to date as possible, however once deployed you can upgrade as per usual. 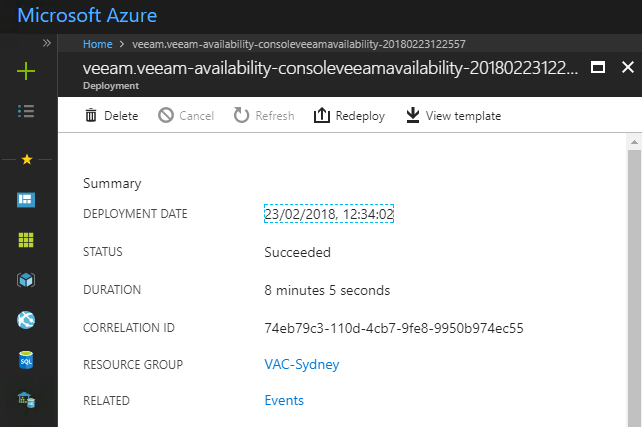 So there you have it…within fifteen minutes you can have a fully working Veeam Availability Console instance running in Azure and ready to be used to offer all the goodness that VAC offers our Cloud and Service Provider partners. For an overview as to what VAC offers, click here and have a read of my GA post on What’s in It for Service Providers.